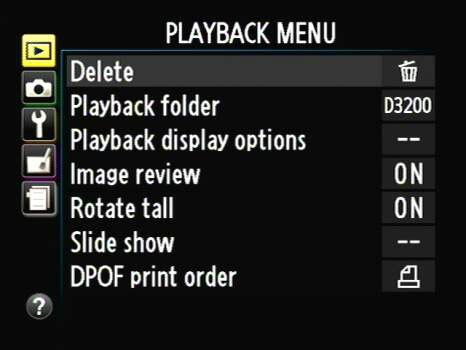 Your Digital SLR camera should have an entire menu devoted to playing back photos and movies. Because you are not using film and will want to take a look at your images, it’s an important aspect of using your dSLR. Protect images: Use this option if you review your photos and want to keep yourself from accidentally deleting them. Beware: They aren’t protected from reformatting. If you never delete photos from your card while it’s in the camera, this option is somewhat superfluous. Rotate: Automatically rotate photos during playback that were taken vertically (in portrait orientation). Print order: Identify exposures to print on a compatible PictBridge printer and many photo finishing kiosks by setting the digital print order format (DPOF) options. The more you look into the print order, the more interesting it is. If you need to print the contents of an entire memory card, it can be a true timesaver. Depending on your camera, you can imprint on each photo the shutter speed, aperture, file number, and date the photo was taken. Slide show: Set up and display an automatic slide show of your photos or movies. 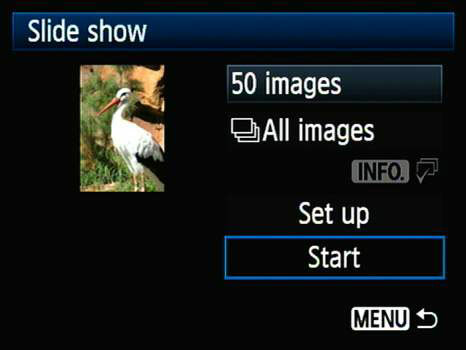 Histogram: Turn on the histogram (this graph indicates how brightness is distributed between dark and light in the photo) when reviewing a photo on the LCD monitor. This option helps you tell whether you have the correct exposure.